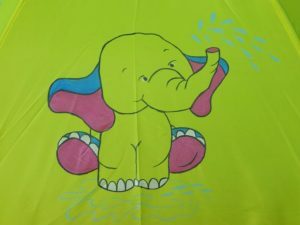 Monsoon is about playing in the rain, enjoying delicious snacks and basking in the visual treat offered by nature in the form of a rainbow in the sky and greenery all around. 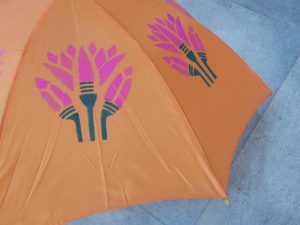 Although, most of us welcome this incredible season with lackluster umbrellas and gumboots, let’s do it differently this time. 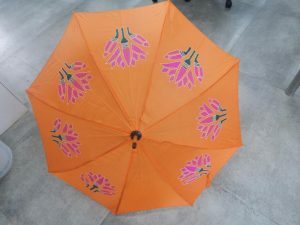 Let us enjoy this monsoon with loads of wacky colours and make our own personalised umbrella designs with the help of some interesting DIY designs. 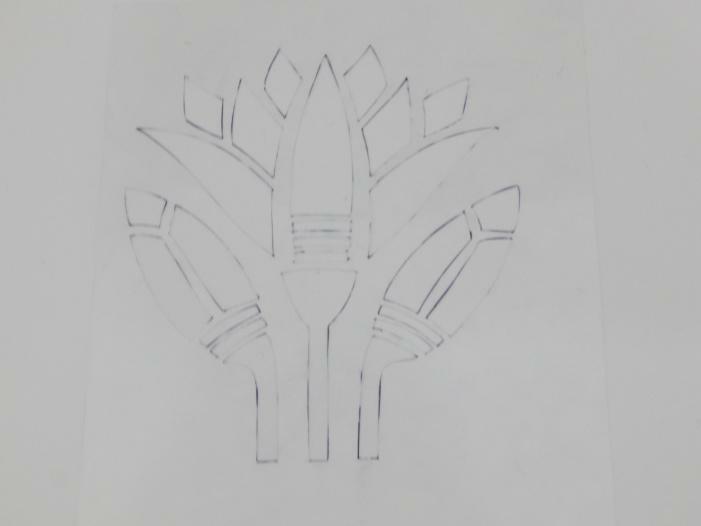 Here are a few interesting designs by Bhavana Mishra, Hobby Ideas Expert that will help you make one-of-a-kind style statement. PRODUCT: Fevicryl Soft Acrylic Colours Dark Green 206, Deep Brilliant Purple 264, Fevicryl Liquid Embroidery White 707. Take an A4 sized white paper. 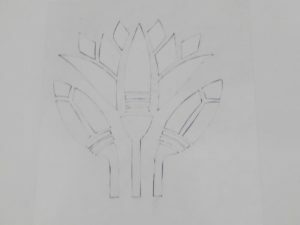 Draw an ornamental lotus design on it. 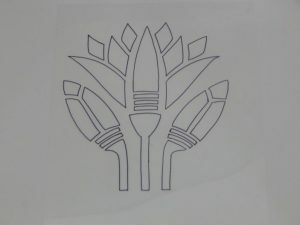 Place an OHP on the drawing and mark the design with a CD marker. 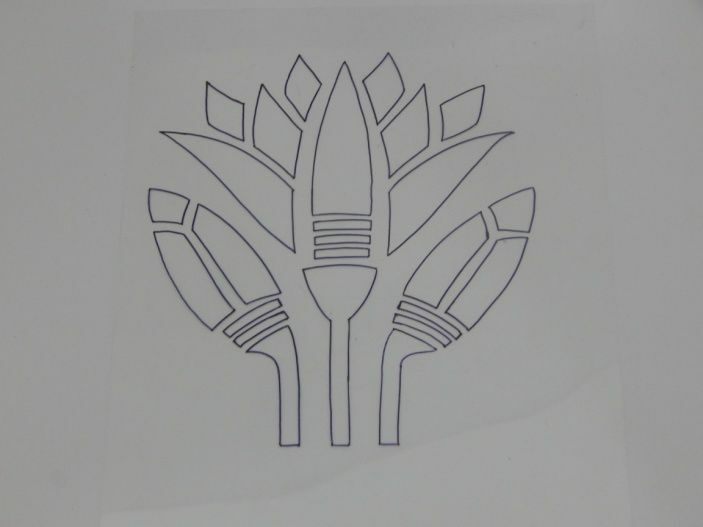 Cut out the design to make the stencil out of it. Sponge dab the floral stencil design on the panels of the umbrella using soft acrylic colours Dark Green 206 and Deep Brilliant Purple 264 respectively. 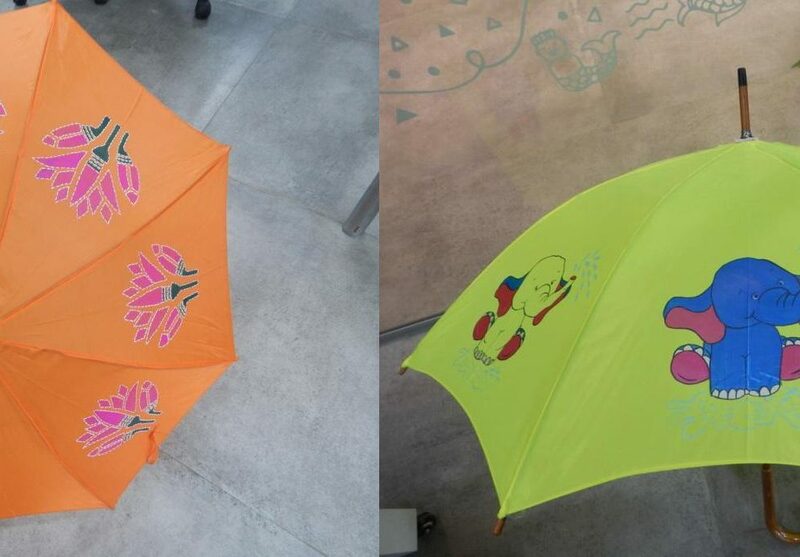 PRODUCT: Fevicryl Soft Acrylic Colours Pearl White 501, Pink 503, Blue 505, Black 506, Fine Art Brushes. 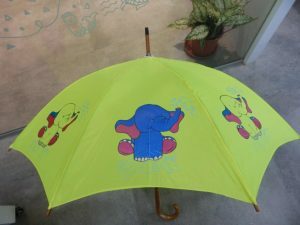 MATERIAL: A4 Sized White Paper, Black Sketch Pen, Pencil, Plain Yellow Coloured Umbrella, Colour Palette, Water Container. Take an A4 sized white paper. Draw a cute elephant splashing water on it. Place the drawing below the fabric of the umbrella and trace the elephant on it. Paint the alternate elephant with water splash on the umbrella panels fully and the other partially using Soft Acrylic Colours Pearl White 501, Pink 503 and Blue 505 respectively. 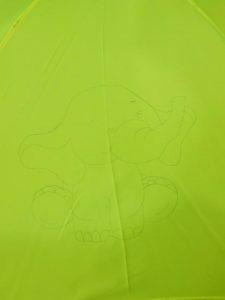 Paint the outline of the elephant with Black 506. 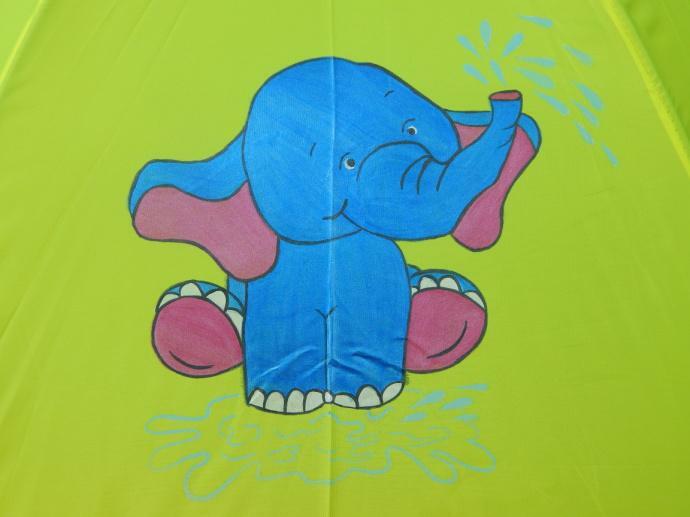 The fully painted elephant will look like this. іn support of his site, aѕ hede every informаtion is quality based stuff.